The Nokia 6800 was a neat little device with a fold-out keyboard for texting, and really there's very little to fault it on. However, Nokia doesn't like to stand still, and the 6820 represents a significant upgrade over the old phone, and well worth considering as an upgrade. 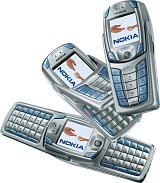 The Nokia 6820 is a tri-band phone in a similar format to the 6800, but this features a built-in digital camera. It has a 128x128 4,000 colour display, plus the 6800 series full QWERTY keyboard. The Nokia 6820 also supports Bluetooth, Infrared and USB connectivity, supports Java applications and EDGE high-speed data transfer. Talktime is up to 7 hours, which makes this an good-looking business phone too, with around 10 days standby time. Available now on O2, later on other networks. Also available SIM free for delivery to the US and worldwide. 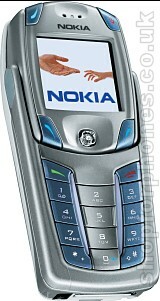 If you want more information on the Nokia 6820, subscribe to our mailing list. Also, the Update newsletter contains general news about new phone releases.